The end of WWII had left the United States and the Soviet Union as the two global superpowers, and Korea, a Japanese protectorate, was far down their respective lists of priorities, so the 38th Parallel was selected as the dividing line between the Russian and American occupation forces. The active support of the American occupation forces ensured that American-educated Syngman Rhee was elected president of the Republic of Korea (ROK). Kim Sung-il, who had served with the Red Army during WWII, became the Soviets’ candidate in North Korea. Aware that Rhee would provoke a war if permitted, the United States had refused to provide the ROK army with planes, tanks and artillery. However, Stalin approved Kim’s invasion plan, supplying the North Koreans with generous quantities of planes, tanks and artillery. When the North Korean People’s Army (NKPA) crossed the border on June 25, 1950, its large, well-trained army steamrolled through the unprepared ROK forces, starting the Korean War. President Harry Truman won the support of the United Nations for the defense of South Korea, assigning the military response to General Douglas MacArthur, commander of the American occupation forces in Japan, but the NKPA had gained control of all of Korea by August except for a small perimeter around the port of Pusan. The NKPA had already burned itself out with repeated frontal attacks when an amphibious landing at Inchon caught the North Koreans completely by surprise. Seoul was recaptured on September 25, and the NKPA began to disintegrate. Deciding to reunify Korea by force, an overconfident MacArthur dismissed China’s warning that it would not permit American troops near the Yalu River, the border between China and North Korea. The entry of hundreds of thousands of Chinese ‘volunteers’ into Korea in late November transformed the war. After a series of Chinese offensives and American counter-offensives, the lines had stabilized near the 38th Parallel by mid-summer 1951. The negotiations dragged on until mid-1953 because the Chinese and NKPA would not accept the right of Chinese and North Korean PoWs in UN custody to refuse repatriation to their home countries. The negotiations at Panmunjon have been stalled for two years, but the fighting continues, and several hills in the front lines have repeatedly changed hands. 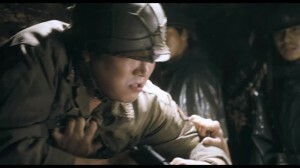 ROK Army Lt. Yang Eun-pyo (Shin Ha-kyun) is sent to the front to investigate a letter written by an NKPA soldier that was mailed in the ROK. The ROK army HQ is suspicious because the letter was sent by a company guarding Aerok Hill, a key hill, and the company commander was killed by a bullet from an ROK officer’s pistol. 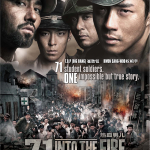 Yang arrives at the company’s camp with the new commanding officer and Private Nam Seong-shik (Lee David), a 17-year-old recruit, but they find that discipline is gone, and Kang is shocked to discover that Lt. Kim Soo-hyeok (Go Soo) is an officer of the company, even though he thought that Kim had died early in the war. After two years of truce talks, the soldiers are exhausted, and tired of seeing friends die, but the new commander seeks glory. 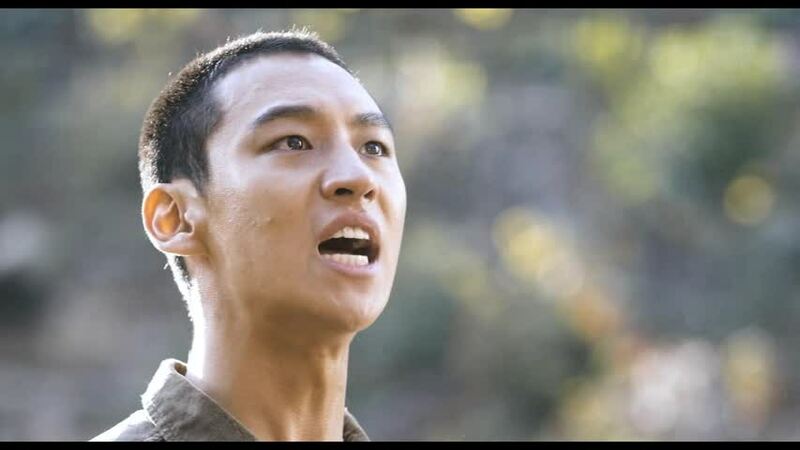 Captain Shin Il-young (Lee Je-hoon), the deputy commander, is a skilled officer who has become addicted to morphine to deal with events that occurred during the Battle of Pohang, an event that has scarred all of the veterans. Despite the undisciplined appearance of the soldiers in camp, they are deadly fighters once they reach the front. The hill has changed hands thirty times. 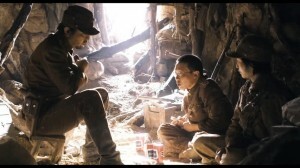 After the hill is taken, Yang notices some of the veterans drinking alcohol and discovers that they have been communicating with the NKPA through a message box buried in the bunker. Following an initial exchange of insults, the NKPA soldiers left wine to persuade the ROK troops to mail letters to family in the south. Kim tells Yang that they would not sell secrets because it would risk their own lives. Although he has solved the mystery, Yang stays with the company. Experiencing the futility of fighting again and again over the same hill, he even drinks with Kim, Oh Gi-yeong (Ryu Seung-soo), Master Sergeant Yang Hyo-sam (Ko Chang-seok), and the rest of the conspirators as they read the letters before mailing them. The group of NKPA soldiers who leave letters have also lost friends, and are tired of hearing that there will be one last battle. Finally, the armistice is announced, and the two groups who had exchanged luxuries meet each other briefly. 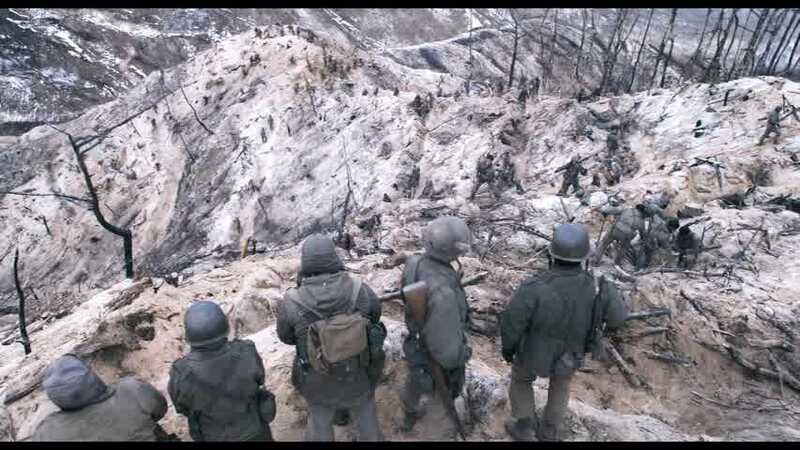 However, a general arrives and says that there are several hours left before the armistice takes effect, so they must retake Aerok Hill, which is currently held by the NKPA. Receiving similar orders, the members of the NKPA company also think that the plan is insane. The survivors of the ROK company nearly break down when they learn the news, but Captain Shin makes a stirring speech. After a tremendous battle, it is not clear who holds the hill, since nearly everyone is dead. 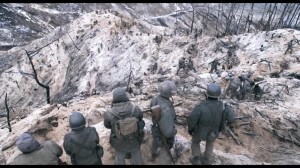 The movie concentrates on Aerok Hill, so there is no discussion about the overall war, other than grumbling by soldiers on both sides that the negotiations have dragged on far too long. While some hills did change hands repeatedly, the script stretches matters by showing the same ROK and NKPA companies killing each other over a useless lump of rock. Their never-ending battle seems to represent the futile bloodletting that took place while the negotiations dragged on. While digging graves for men killed in the battle, the ROK soldiers find bodies from previous battles. The action scenes are astonishing. The first time the ROK company attacks the hill, the camera stays below the troops to show that the hill is so steep that they can barely climb, never mind fight. The producers do not stint on gruesome wounds and bloody, severed body parts. At one point, the Chinese attack Aerok Hill, and it is an amazing battle scene, where waves of Chinese soldiers overwhelm them. 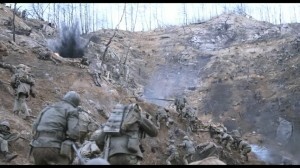 Bugles signal the attack and suddenly the hill is covered with Chinese soldiers. However, the struggle for the hill seems to take place in a vacuum. Aside from the first and final battle, they never receive artillery support from the rear, and they never receive reinforcements. 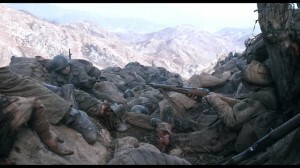 While the large-scale battle scenes are well-done, the movie also shows the fighting from the perspective of the individual soldier. A scene where two terrified recruits on different sides point guns at each other is especially effective. 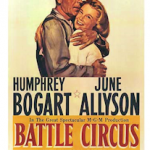 Early in the movie, Yang is transferred to the Investigation Unit, which is busy arresting traitors and communists, and he rashly comments that many are falsely accused, and the pro-Japanese pawns should be purged first. It is a brief scene, but it highlights a key reason for the soldiers’ disillusionment. Having invaded South Korea, North Korea was undeniably the aggressor, but President Syngman Rhee had become a dictator. Unable to communicate with the Koreans, the American occupation forces had cooperated with the Japanese officials, followed the advice of the Japanese officials and replaced them with Korean collaborators, even though they were loathed by their fellow Koreans. In particular, the Korean members of the Japanese-run police were promoted when the Japanese went home, which meant that brutal torturers were given power. In fact, anyone who had been put in prison by the Japanese was not permitted to be a member of the Constabulary (the core of the new army). After Rhee became president, he orchestrated a ruthless crackdown on anyone suspected of opposition, and 89,000 people were arrested between September 1948 and April 1949. By that stage in the war, Rhee had abandoned even the pretence of democracy. Watching Rhee’s goons execute political opponents in cold blood without a trial was hard to stomach and naturally decreased the soldiers’ morale and willingness to risk their lives. Rhee refused to listen to any of his allies’ requests that he introduce more democracy, rule of law and crack down on corruption. When the National Assembly defied Rhee and voted in May 1952 to end martial law in the Pusan area, military police surrounded the building on May 27 and arrested 50 members of the assembly. It became clear after the war the Kim’s regime had managed to surpass Rhee’s administration for brutality but the only real difference between the two was a matter of degree. The company commander frequently jams his pistol into soldiers’ faces when faced with disagreement or logic. Unfortunately, his behavior was far from rare. American soldiers were shocked by the brutal treatment of ROK soldiers by their officers. An anguished Sergeant Yang is on the left. A scene where they use one of their own soldiers as bait for a sniper is gut-wrenching. Actually, quite a few scenes are painful to watch, so the script balances the pain with humor. Sergeant Yang’s anguish when Kim tells him to dump the first bottle of wine left by the NKPA is brilliant. The best parts of the movie are when the soldiers are joking around to deal with the boredom. The acting is excellent but two members of the cast stand out. 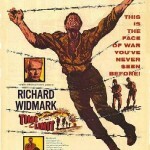 The actors who play Captain Shin and Lieutenant Yang had to portray raw recruits terrified to fire their own guns and war-weary veterans who have killed so often that they wonder if they are still human, and they are believable in both situations. Half-way through the movie, the perspective begins to shift back and forth from the two groups who regularly contact each other but never see each other. At one point, the NKPA sniper sees a dead soldier with an item that had been left in the message box, and realizes that a member of the ROK conspirators was killed during an ambush. During the final battle, members of both groups of conspirators end up fighting each other, and one of the victors has to look away as he kills his enemy. It is amazing for a Korean film to show both sides’ perspective, and likely caused a considerable amount of controversy. However, the idea that the soldiers’ enemy was not the communists but the war itself is a bit much. Preoccupied with a powerful anti-war message, the script does not really explore the fact the war originally started out as a civil war but both sides ended up as the junior partners of foreign allies who did most of the fighting, and made the key strategic decisions. While the desire to show the NKPA in a favorable light is well-intentioned, the KPA were brutal, massacring most prisoners at the beginning, and killing far more suspected opponents than Rhee. Since the majority of the filming took place on one hill, the set is awesome. It took seven months to find a hill that matched their needs and then transform it to look like the pictures from the war. It was impossible to bring up heavy camera equipment, so they filmed the first big attack with a camera dangling from a rope strung between two poles. The budget went to pay for a lot of extras, and it paid off. The extras had a plan to follow during the charges but it was impossible in the chaos for no one to make a mistake. There were so many extras and so many explosives that the producers admit that they were lucky that no one was hurt. Although there are a few too many long death scenes, and the script focuses more than I would like on the friendship between Yang and Kim, The Front Line is definitely the best movie I have seen on the Korean War. The Koreans make some remarkable war movies. I am a big fan. This movie is, in my opinion, in the middle of the pack. Like most, it is entertainingly over the top. It is best if you suspend reality. Their movies show an admirable lack of patriotism. The cynicism is very high. Your review is spot on. BTW the name of the hill is Korea backwards. I have not seen as many Korean films as I would like, friends have recommended many, but I have been impressed with what I saw. Did not catch that Aerok is Korea backwards. Thanks. Have not seen My Way or Joint Security Area, but I plan to. 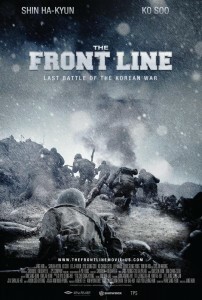 I have seen Tae Guk Gi, but I think that Front Line is better, it is definitely more entertaining. I was blown away by Tae Guk Gi the first time I saw it, but less so when I watched it a second time to get images. Anyway, I will explain it better when I put up the review in a week or two.